Casks of Macallan and Glenfiddich single malt Scotch are to be auctioned off in Hong Kong this weekend in the first sale from new auction house Dragon 8. The 1964 Glenfiddich cask – said to be the oldest ever sold at auction – and the 1990 Macallan cask are part of Dragon 8’s two-day sale at Hong Kong’s Grand Hyatt this Friday and Saturday, also including art, fine wine and diamonds. 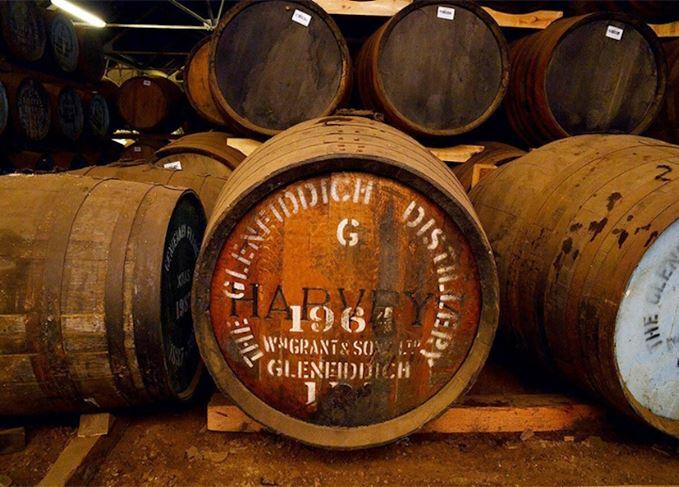 The Glenfiddich cask, which equates to 103 70cl bottles at 57.2% abv, has a high estimate of HK$6.238m (US$800,000), while the Macallan cask (201 bottles at 50.3% abv) has a high estimate of HK$2.188m (US$280,000). Also included in day two of the sale are several hundred lots of rare wine and whisky, including mutiple lots from Macallan’s Fine & Rare series, among them a 62 Years Old Macallan in Lalique. Cult Japanese whiskies also feature, including several bottles from the closed distillery of Karuizawa. Dragon 8 has been established by a group of Scandinavian professionals, with its founder Gil Lempert-Schwarz, who has experience in the art, wine and auctioneering fields, and who lived in Hong Kong for 10 years. ‘There are other well-established auction houses and we all know who they are,’ said Lempert-Schwarz, who described the Hong Kong auction house’s first sale as ‘a whisky lover’s absolute dream’. Collectible Speyside malts rub shoulders in sale with a glut of sought-after Karuizawas and Hanyus.